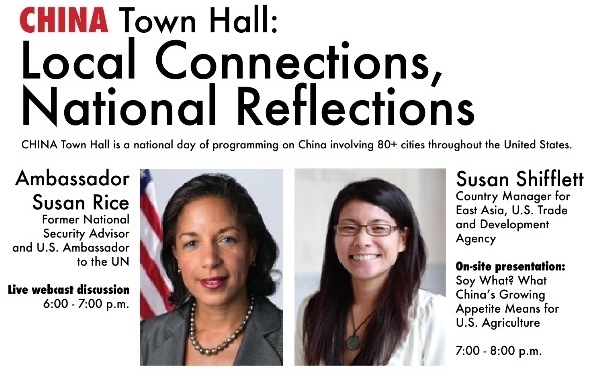 The Minnesota State University, Mankato College of Business along with GreenSeam, is pleased to bring to campus a national webcast, CHINA Town Hall: Local Connections, National Reflections. China’s rapid development and Sino-American relations have a direct impact on the lives of nearly everyone in the United States. CHINA Town Hall is a national conversation about China that provides Americans across the United States and beyond the opportunity to discuss issues in the relationship with leading experts. Last year, over 80 venues and 100 speakers participated in the program, along with four partner organizations in Greater China. *Refreshments and light hors-d’oeuvres will be served.